What do you think about Salomon Q-115? Very stable and safe. The tipping flares in high traffic but nothing that interferes more than remarkably. Bad grip on harder surfaces. Good allround skiing for eg. the Alps for the one who is mainly going to go offpiste and like big yokes. Feels a bit boring / dead on hard surfaces but really wakes up when it gets soft. I love this ski! Stiff skid that's cruel in the offpiste, in both cushions and a bit tougher conditions. Also works to carve in the piste. Suitable for advanced riders. I am a family father to an 11 and 13 year old and I wanted a ski for "everything" with obesity to the offpiste. And I clearly think Q-115 will solve the task for me. Safe and safe in all bowls, but delivering especially in the offpiste, it can handle everything from pillows, upset and hard. Also, they seem to work really well for carving in the piste but make sure that you have cut steel edges and that it is a bit slow to change from edge to edge. 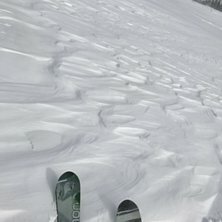 As many people write about this type of ski, it's not optimal for piste carving, but if you're not looking for a rap skate that can handle blue without enjoying yourself with a stable carver for long swing it works great. If my needs are perfect, but are you jibber or pistachio, then you should look in another segment. The rating is based on my criteria.